When I was born again over 40 years ago I had a deep and open conversation with God within a few days and said something I deeply felt and sincerely meant. I told Him that no matter what He asked me to do or where He wanted me to go that answer would be “yes.” In fact, I said that the answer would always be “yes” before I even knew what the question was or what it was He was about to ask me to do for Him. I believe this has been the key reason that the Lord has used me to do some many things in so many places. He knows that no matter what He asks of me, the answer is “yes” even before I hear the question. So, I was reading in my favourite corner of the best coffee shop in my city – with a large cup of terrific coffee – and I read about another man – a pastor, author, and leader – who said, “I live on the other said of yes.” He had my attention. He went on to say, “That’s where I find abundance and opportunity. It’s where I become a better and bigger self. The opportunities of a lifetime must be seized within the lifetime of the opportunity. So I try to say ‘yes’ whenever I can.” I could not agree more. While you guys were busy arguing about the glass of [water], I drank it! I learned that I needed to be prepared to say ‘yes’ in a neat way. I was reading Matthew’s gospel and was in Chapter twenty-eight. That morning I heard the still quiet voice of the Lord say that I did not believe what I was reading. Of course, I disagreed with Him assuring Him in a very strong manner that I did believe His Word. After a brief back-and-forth I gave up and asked Him what it was He thought I did not believe. He said that I did not believe the part about going into all the world. I again strongly disagreed. But, the disagreement ended when He commented that I did not have a passport and so could not go into all the world when (not if) asked to. So, I took a step of faith and applied for and obtained a passport. It was a step of faith because I was not known other than in my small regional area where I was working planting churches. An area where I did not need a passport. Within two weeks of the receipt of the passport I was on my way to my first international speaking opportunity.The door to go opened within 24 hours of my receiving the passport in the mail. So, it is more than saying ‘yes.’ It is more than living on the other side of yes. 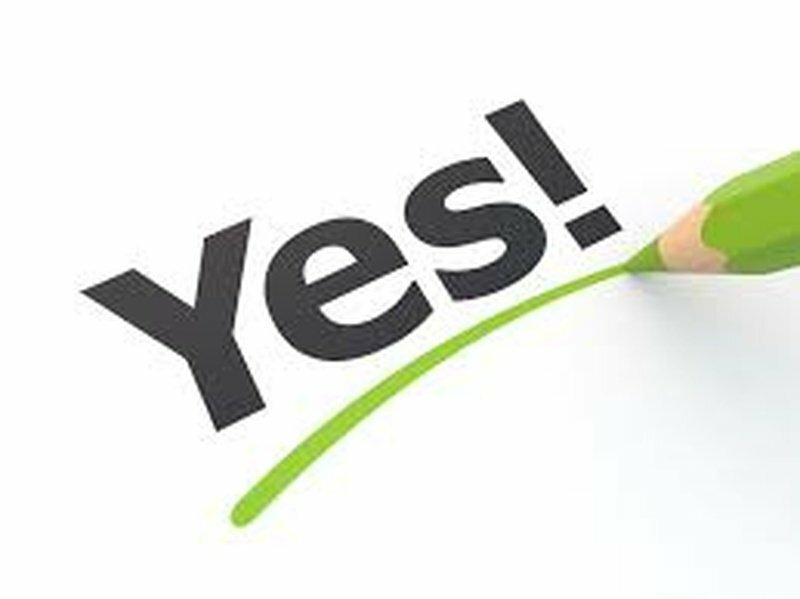 It is being prepared in numerous ways to be able to act on the ‘yes’ when you have the opportunity to say it. Is there something you have not done; something that is not in correct order in your life; some Biblical imperative that you have not obeyed… that would prevent you from acting on your yes’ when you said it? Then you know what you need to do and today would be a good day to do it. The Lord is looking for those who are ready and willing to do whatever it might be that He asks them to do for Him.